Receive a free Frankincense & Myrrh 50ml bath oil when spending £90 or more on our aromatic and grooming collection online or in-store. Us the code FM50 at the cart or checkout stage to receive your gift. 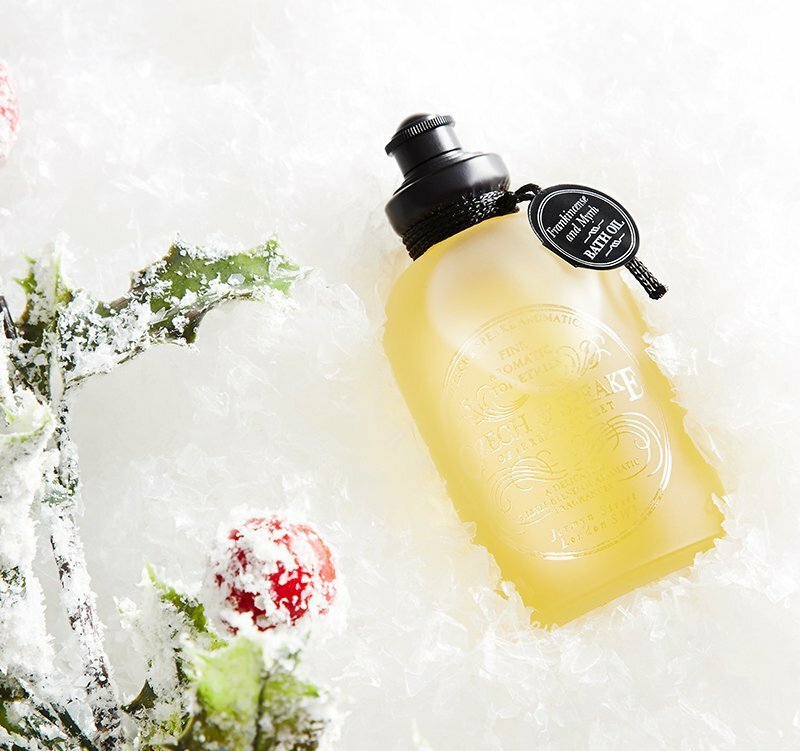 The perfect bathing companion to keep you warm and refreshed this winter. This truly exotic fragrance takes its inspiration from the opulent fragrances of the orient. The rich blend of warm frankincense, the sharpness of myrrh and the woody rich base notes of cedar wood and sandalwood are topped by the fresh scents of orange, lemon and basil. The aroma of Frankincense & Myrrh, a fragrance without animal notes, is rich and deep yet refreshingly herbaceous without overpowering the senses.